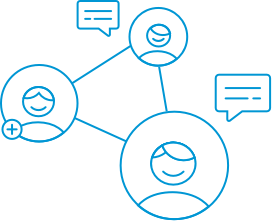 As part of CallRail's suite of Conversation Intelligence features, CallScribe allows you to read entire conversations between your team and customers by transcribing your calls. Available in the caller's timeline, you can snap to important points in the conversation by clicking on the call recording's waveform and read the entire call transcript without having to listen to the call. A preview of each call's transcription is available in the call notification email you receive. You can click the link in the email to be redirected to the caller's timeline, where you can read the full transcription of the call. Call recording must be enabled on tracking numbers where you'd like to transcribe calls. The accuracy of your transcriptions is dependent upon call quality. CallScribe is an optional add-on available for $0.025/minute on the Starter plan, and for $0.02/minute on the Pro plan and higher. Learn more about CallRail's pricing in this help article. We recommend using CallScribe in conjunction with CallScore as part of our Conversation Intelligence features, but you can use these two features separately if you prefer. Learn more about CallScore with this help article. CallScribe can only transcribe conversations on US and Canadian tracking numbers. CallScibe is company-dependent in your account. Use these instructions for each company where you'd like to activate CallScribe. Choose the company where you'd like to use CallScribe. Select CallScribe & Keyword Spotting in the Workflow menu. Choose whether to Transcribe all calls or Transcribe specific calls. See the second set of instructions in this help article to learn more about transcribing calls based on specific criteria. You can set specific criteria for the kinds of calls you'd like to transcribe using CallScribe. Only the calls that are transcribed will appear on your invoice each month. Choose the company where you'd like to set criteria for CallScribe. Select Transcribe specific calls, then choose the tracking numbers, direction, call type, call duration, or tags for your CallScribe settings. You can use choose multiple tracking numbers and tags, and a single direction, call type and duration. Click Save to update CallScribe. Call Highlights are relevant words from the call transcription that are automatically spotted. Once you receive calls to tracking numbers that are using CallScribe, you can read and interact with a caller's transcript and see highlighted keywords on their timeline. Choose the company whose CallScribe transcriptions you'd like to view. Click Recording to play a customer's call recording. Read and interact with the caller's recording and transcript directly inside the call log. Click on a specific place in the call recording graphic to snap to that point of the conversation in the transcript. Click on a specific place in the call transcript to the right to snap to that point of the conversation in the recording. Hover over dots in the recording to see Call Highlights and Keywords Spotted from the call. Click on the dot to jump to that part of the conversation. See a full list of your Call Highlights on the Edit tab. Disabling CallScribe will stop all conversations for the selected company from being transcribed and turn off highlights. Use these instructions for each company where you'd like to disable CallScribe. 1. Choose the company whose CallScribe you'd like to disable. 3. Select CallScribe & Keyword Spotting in the Workflow menu. 4. Turn the toggle at the top of the screen to OFF. 5. Click Save at the bottom of the screen to disable CallScribe.